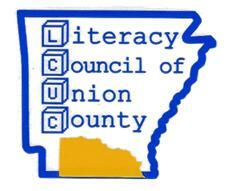 Literacy Council of Union County provides free instruction through trained volunteer tutors, for adults in Union County who lack basic reading, writing, mathematics and English as a second language skill. In addition, the council provides help with filling out job applications and writing resumes. As needed, the council provides basic computer literacy classes and health literacy classes. For more information, please contact the Literacy Council at 870-864-7081 or visit our Facebook page; you can also visit our website.